In 1967, Los Angeles band The Sunshine Company had a big hit with “Happy,” a song about finding your soul mate, which is definitely a good reason to be be happy. Fast-forward to today, and “Happier” is about how to be happy in a whole different way. A sad way. The words are important, but so is the sound, and this one is delightful, original, creative, impactful and memorable. 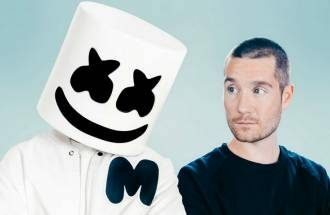 “Happier” is a collaboration between British band Bastille and Marshmello (real name Christopher Comstock) a 26 year old DJ/producer from Philadelphia.